Business is on the uprise. During the economic downturn, many multi-location distribution organizations closed and consolidated warehouses. As the economy picks up, then space becomes a major issue for the remaining locations. In many operations, a mezzanine system is the ideal way to add floor space. Many work operations I see are packed at the floor level, but there isn’t anything above 8′ or 10′ in most of the warehouse. Creating a second level above the main floor has lots of advantages. Moving or expanding to another secondary warehouse should always be the last choice. Mezzanines can be used in several ways. Some companies will place office spaces, conference rooms, spare parts or slower-turning inventory on top of the mezzanine. 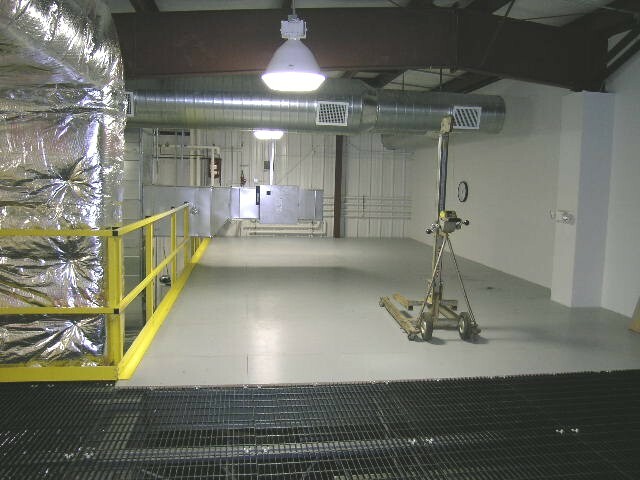 For others, a mezzanine is an ideal way to place a work cell in a designated area. For more industrial applications, a mezzanine can be used for mixing operations, with raw materials fed from the top-level to the lower level, improving productivity and creating safer walking and work spaces for workers. Materials can be moved to the top of the mezzanine by forklift, vertical material lifts or conveyors. The space above 8′ is already paid for in the monthly rent or mortgage. It makes sense to use the space for operations.